TAMPA, Fla., Mar 15, 2018 (SEND2PRESS NEWSWIRE) — Who doesn’t love a good buried treasure tale? And this one is even more intriguing because it’s the combined effort of a grandfather and his grandson. 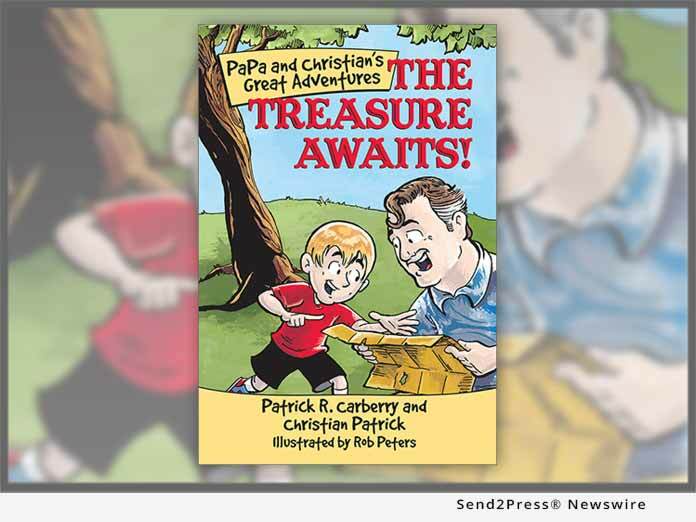 Co-authored by Patrick Carberry and his sidekick, 7-year old Christian Patrick, “PaPa and Christian’s Great Adventures: The Treasure Awaits” (ISBN: 978-1483480923), is written in a way that encourages kids to spend quality time with their grandparents. It shows how different generations can have fun together, teaches valuable lessons about life and family, and sparks imaginations too. “PaPa and Christian’s Great Adventures: The Treasure Awaits” weaves a charming tale that is all at once endearing and engrossing. Carberry says that the experience of writing this book with his grandson has been enlightening and rewarding. “Every generation is important in shaping the life of a young child. We can all learn and grow from experiences and stories we share,” Carberry adds. Before writing the book, the two adventurers actually went on this treasure quest together. “PaPa and Christian’s Great Adventures: The Treasure Awaits” is available at a 20 percent off discounted rate at LuLu Publishing, or as an ebook at the Apple iBooks store, Barnes & Noble, Amazon Kindle, Kobo and more. Since introducing its self-publishing solutions in 2002, Lulu.com has empowered creators in more than 225 countries and territories to produce nearly two million publications. Lulu.com is available in six languages: English, French, Spanish, German, Italian and Dutch. Patrick Carberry has had many life experiences. Writing this book allowed him to pass on lessons learned to his grandson in a meaningful and practical way. Patrick is a U.S. Army veteran. He’s also worked for Fortune 500 companies, and been an entrepreneur where he created and sold a software company. Christian and Patrick worked on this book during weekends, around Patrick’s busy work schedule and in between Christian’s first-grade homework assignments. This first book is just the beginning of many adventures to come. Title: PaPa and Christian’s Great Adventures: The Treasure Awaits! Dimensions: (inches) 6 wide x 9 tall.